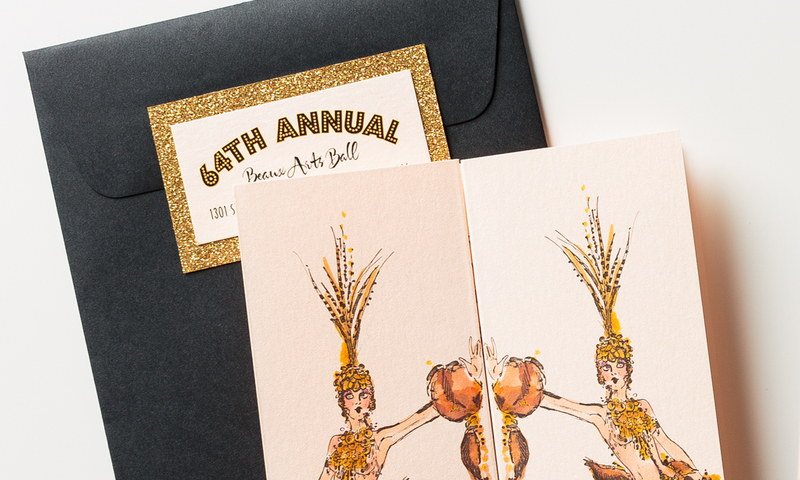 This invitation created for the 2016 Beaux Arts Ball is a cross between Las Vegas glitz and modern design. The Bob Mackie showgirls illustration printed on the front of the invitation fold open to reveal the text. 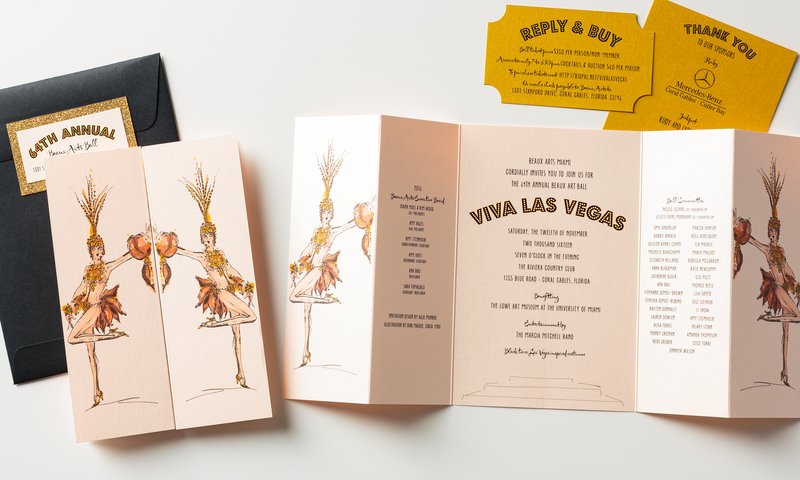 Matching gold insert cards and glittery envelope label complete the design.